With its turbulent past, the building at Französische Strasse 32 near the Gendarmenmarkt in the Berlin district of Mitte embodies German history. It was here that a royal ballet master arranged performances and festivities for the Prussian court, that generations of bankers lived and worked, and East Germany’s most prestigious publisher had its offices. 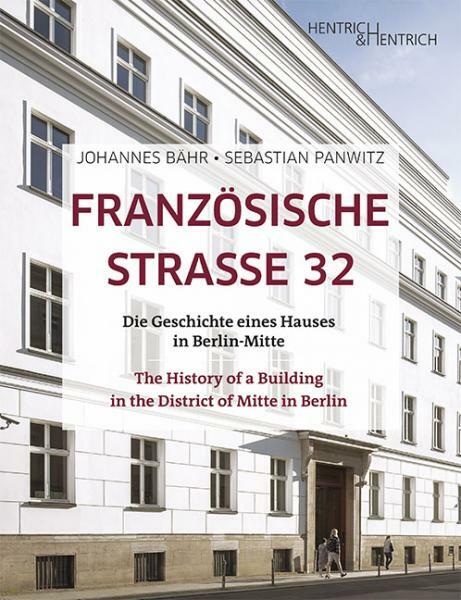 The historians Johannes Bähr and Sebastian Panwitz present the impressive history of the stately urban building, including its darkest moments, when revolutionary soldiers were massacred one hundred years ago and a Jewish private bank was “Aryanized” in the “Third Reich”. Today the building is a cosmopolitan meeting place for dialogue and exchange that symbolizes the new Berlin.